Over 100 statewide, national and international amateurs and professionals, will compete in the DELRAY BEACH OPEN WILDCARD SURVIVOR event, held November 16 – 19, 2019, with the winner receiving a once-in-a-lifetime opportunity to compete in the QUALIFYING of the DELRAY BEACH OPEN (ATP World Tour Event). Event information is listed below and feel free to call 561.330.6003 if you have any questions. Click for ATP Match Schedule. SINGLES WILDCARD. 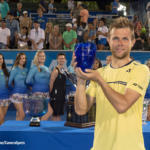 The Winner will receive a Qualifying Wildcard into the Delray Beach Open by VITACOST.com (ATP 250 Event), held February 15-16, 2020 at the Delray Beach Tennis Center. The main draw takes place February 17 – 23, 2020. MATCH SITE. PRO WORLD TENNIS CLUB. 651 Egret Circle, Delray Beach, Florida 33444, USA. Directions: I-95 to Linton Blvd, head east 3/4 mile, turn right on SW 10th Ave, go to stop sign & take a left (Lindell), take 1st left onto Egret Circle, courts ¼ mile on the left. Tournament Office: If you have any questions before Nov. 17, 2018, call 561-330-6003, beginning Nov. 17, call Site Director @ 561-929-4654. INFO. This is a USTA Florida Sanctioned Men’s Open Event. If the event is larger than a 64 draw, the final matches will take place on Tuesday. COMPLIMENTARY ATP TICKETS + DISCOUNT. 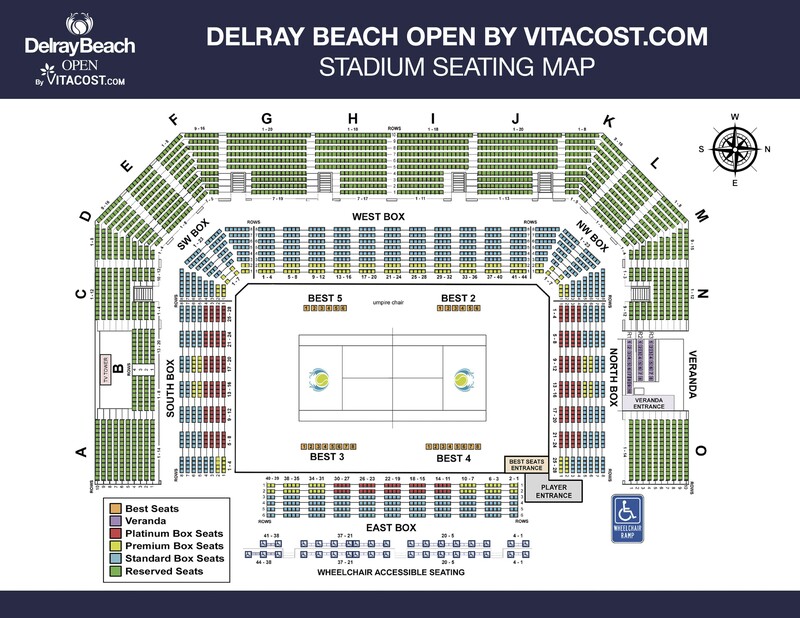 All participants receive 2 complimentary tickets to Day (Session TBA) of the 2020 Delray Beach Open ATP Champions Tour matches (Tennis Legends). 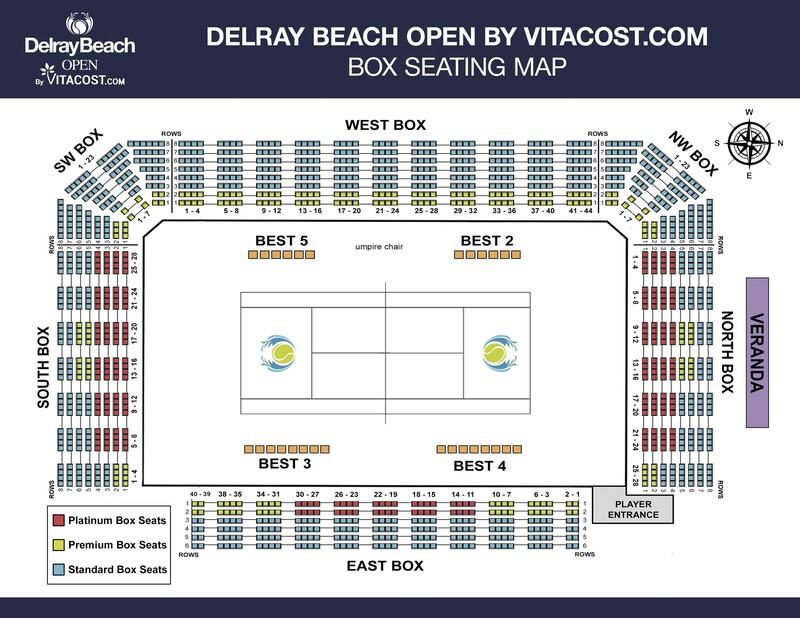 In addition, participants may receive a 20% off discount on individual tickets to their session of choice to the Delray Beach Open by VITACOST.com (must be purchased by December 31). Single elimination Singles Draw (no consolation). Two tiebreak sets and a 10 point match-tiebreak will be played at one set all. Ad scoring will be used. The draw will be finalized on Thurs., November 14, 2019 at 11am and posted online on Friday, November 15, 2019 @ Noon. No refunds will be distributed once the draw is made. 10 courts are available from 7 – 8am. 1-2 courts courts are available (four per court) from 8am – dark, available on a 1st come 1st serve basis.